HPGL files have their uses if you're outputting for plotters but when you're looking to present work to clients you can't always assume they'll have the software to even open them. Nine times out of ten, you'll find yourself looking for a HPGL to TIFF converter to be on the safe side. And if you've ever had to do this more than once, you'll be fully aware of the value a command line HPGL converter can bring to your workflow. If you're looking to save HPGL as TIFF, don't waste your time searching through menus or consulting the help sections of your AutoCAD software. You need a dedicated HPGL to TIFF converter to get the job done right first time. The TotalCADConverter is the perfect tool for the job. It converts across a full range of CAD input and output formats and can be operated either via a GUI interface or directly on the command line. Try our free trial today or read on for more info about its power as a HPGL to TIFF converter. There's no need to dredge up the original source files if you need to make small changes when you convert your HPGL to TIFF. 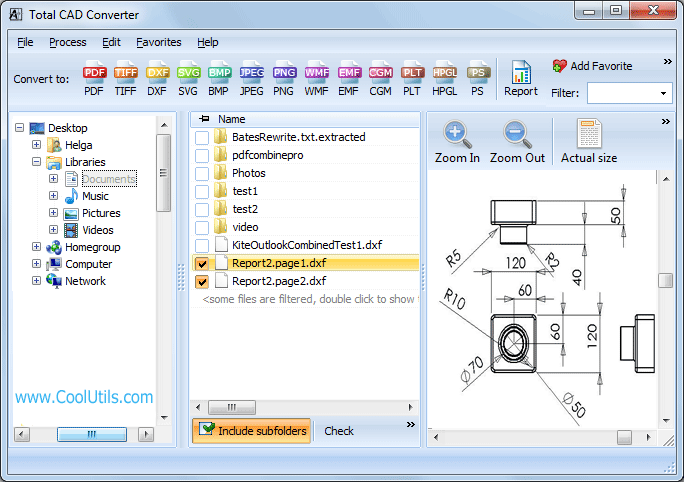 TotalCADConverter has editing tools for common operations such as rotating, cropping and resizing built in. Outputting for the often finicky requirements of TIFFs has never been easier. TotalCADConverter gives you full control over compression levels, photometric interpretation tags and watermarks. Non-technical users can also access the full power of a repeatable, programmatic solution. TotalCADCOnverter's simple graphical wizard lets you define exactly how you want to convert HPGL to TIFF via command line. 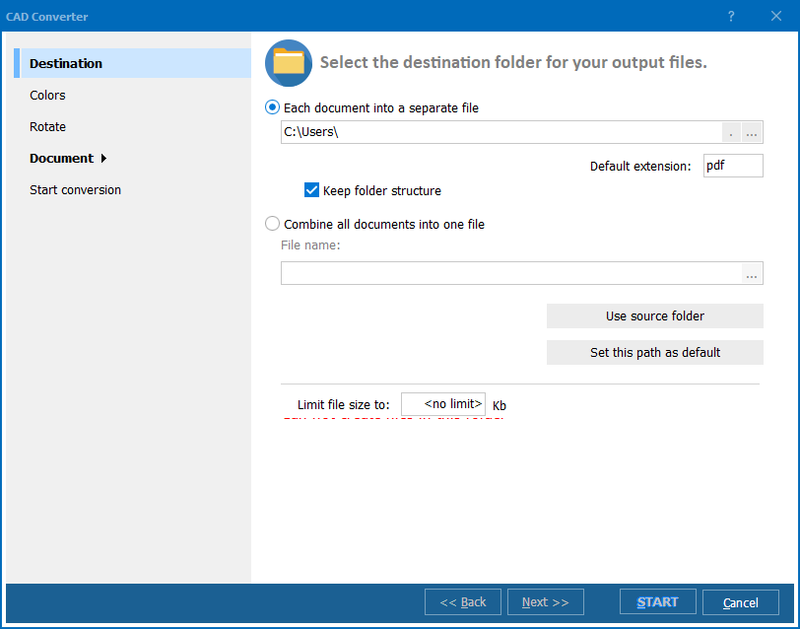 Simply step through its simple options screens to create a customized Command File (BAT) that you can re-use or tweak further at will. Command line pros are still free to interact directly with the full range of option flags from the terminal. The TotalCADConverterX version of the product can be installed directly on a server and silently called from anywhere. 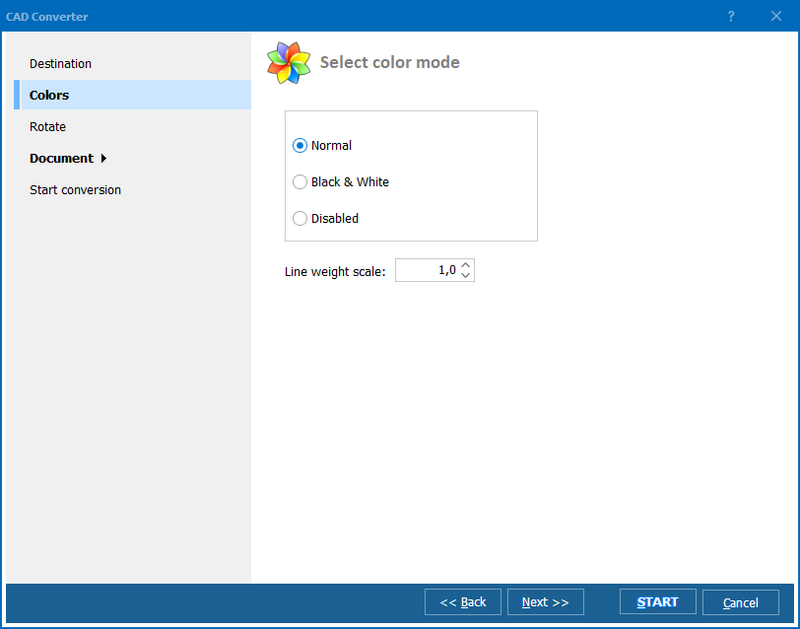 You're even free to integrate it directly in client apps with the help of ActiveX. For just $100, we're confident you won't find a similarly powerful HPGL to TIFF converter anywhere else on the internet. Put our claim to the test! Download the 30-day free trial and see for yourself.